There is always something happening throughout Intermountain Concrete Specialties. Here are the latest Events. 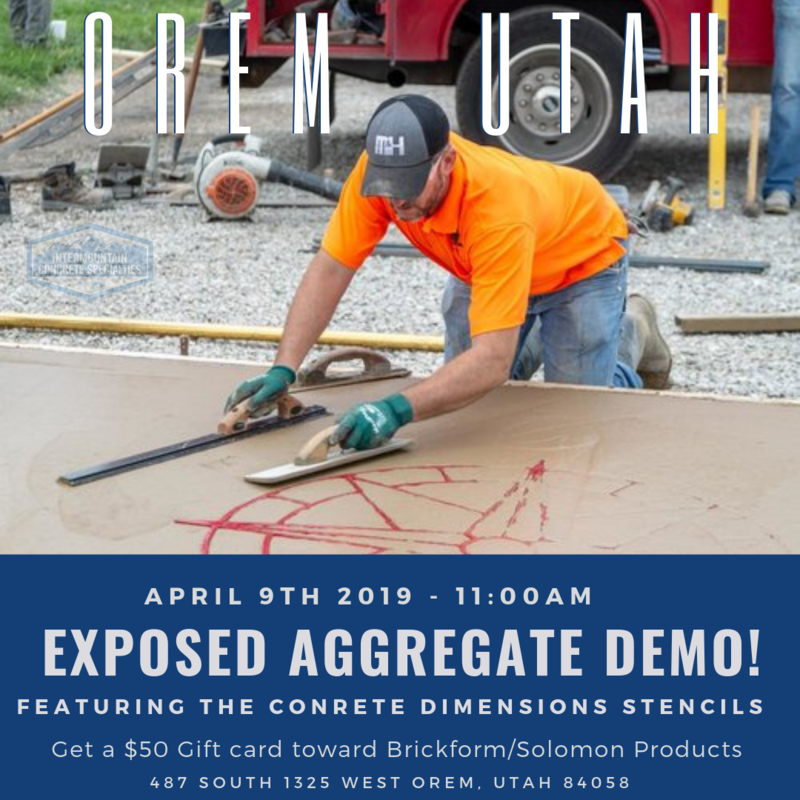 April 9th – Intermountain Concrete Specialties is hosting a demonstration of exposed aggregate systems in Orem. Learn to master this tending decorative concrete finish, setting yourself apart with the aid of Concrete Dimensions Stencils. 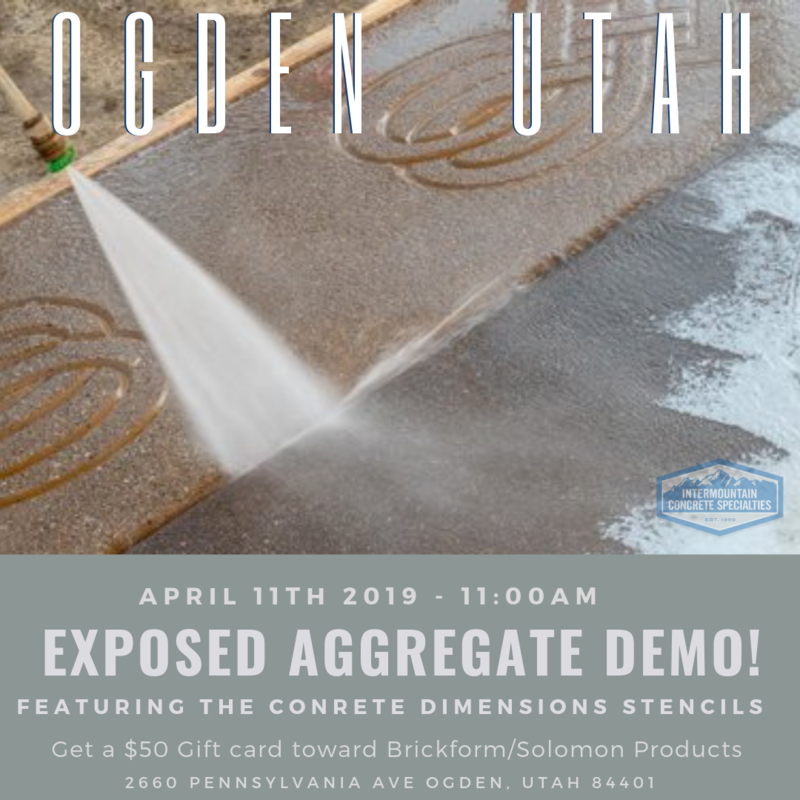 April 11th – Intermountain Concrete Specialties is hosting a demonstration of exposed aggregate systems in Ogden. Learn to master this tending decorative concrete finish, setting yourself apart with the aid of Concrete Dimensions Stencils. 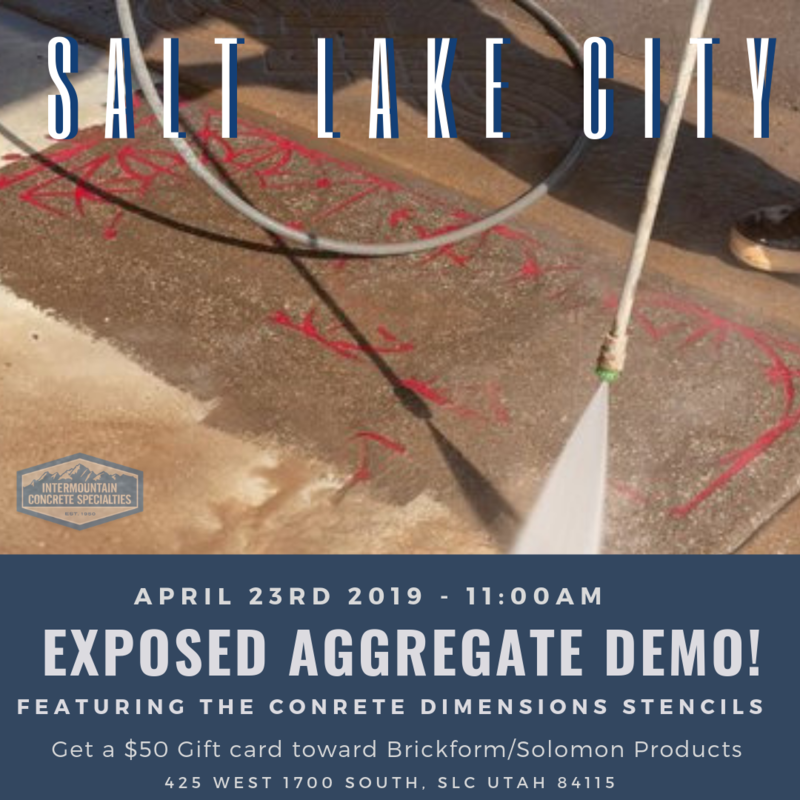 April 23rd – Intermountain Concrete Specialties is hosting a demonstration of exposed aggregate systems in Salt Lake City. Learn to master this tending decorative concrete finish, setting yourself apart with the aid of Concrete Dimensions Stencils. 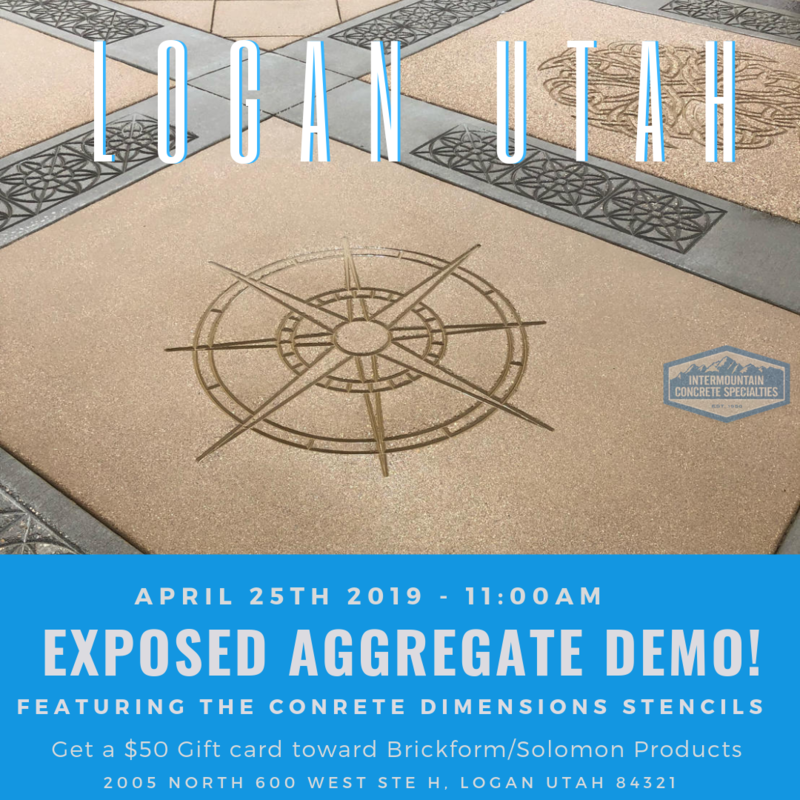 April 25th – Intermountain Concrete Specialties is hosting a demonstration of exposed aggregate systems in Logan. Learn to master this tending decorative concrete finish, setting yourself apart with the aid of Concrete Dimensions Stencils. May 1st from 11:00-2:00pm. 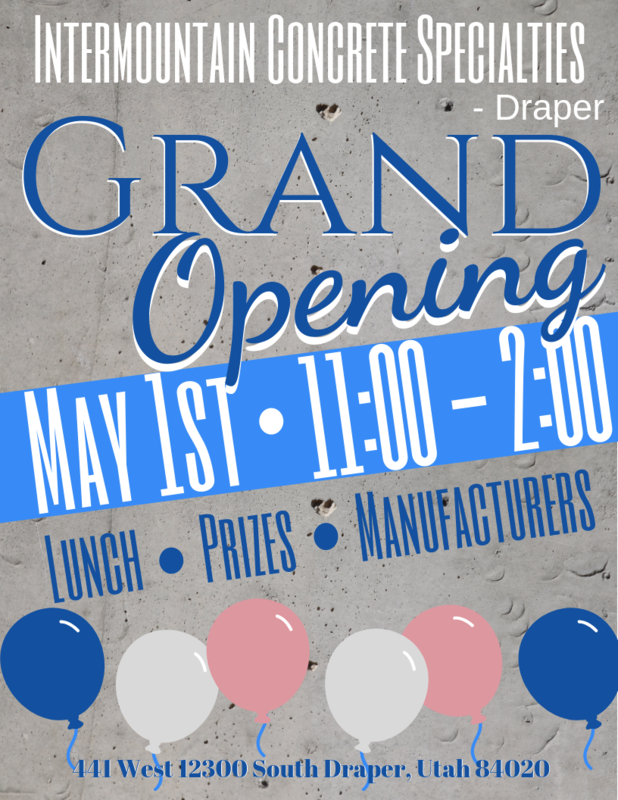 Come join us in Celebrating the opening of our New Draper Location. Come see the latest in the Concrete Industry with many of our vendors. Stop in for Lunch and Put your name in for some Prizes. 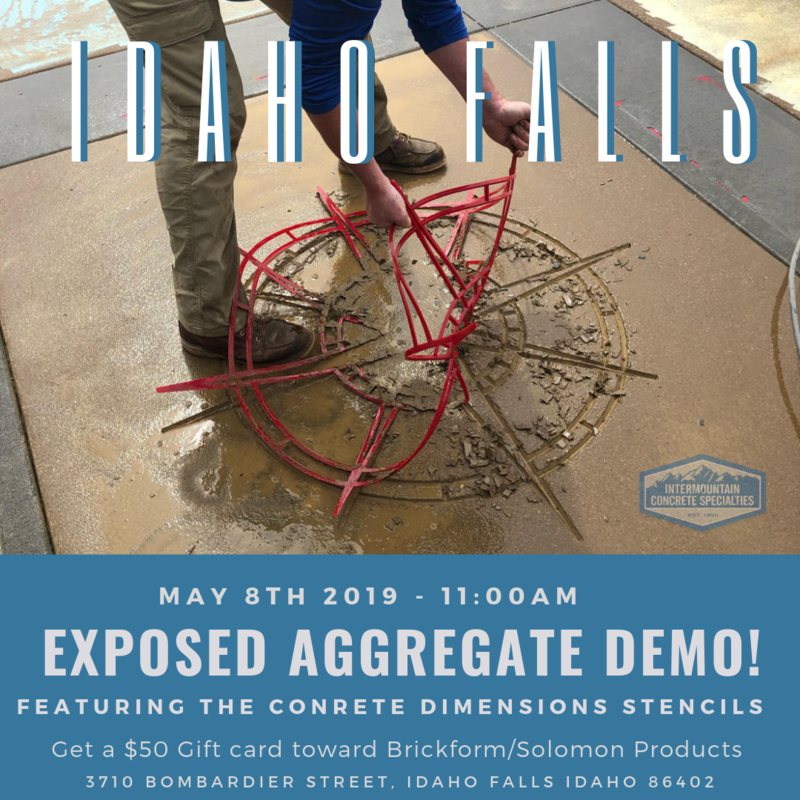 May 8th – Intermountain Concrete Specialties is hosting a demonstration of exposed aggregate systems in Idaho Falls, Idaho. Learn to master this tending decorative concrete finish, setting yourself apart with the aid of Concrete Dimensions Stencils.